Welcome to Mr. Vack's Class Blog. Welcome back to your final year at Trinidad School. It’s sure to be an unforgettable experience with all the fun activities and adventures like: the backpacking trip, ski trip, halloween carnival, after school sports, marine studies, and of course . . . graduation! This year in science we study matter, energy, and waves. And in social studies, with Ms. Cunningham, you will be learning about America's first people through the U.S. Constitution. This year most of you will be in Course 3 math which introduces more advanced algebra and geometry skills in order to get ready for Integrated 1 math in high school. 8th grade language arts focuses on analyzing literature and poetry, and writing clear argumentative essays, so get ready to B.S. . . .be specific, that is. Spanish, tech skills, music, art, PE, and Monday Mash-up are all on the menu too, so there’s something for everybody. You can access a list of recommended school supplies and the tentative class schedule through my class website. School starts on Monday, August 28 at 8:50. Don’t forget that every Monday school ends at 2:10, including the first day of school. You will need to sign up with a free account. include photos, screenshots from your life or technology you use. what do you use technology for? how often are you in front of a screen? how do you think technology affects your social life? in what ways is technology a detriment to your life? in what ways is technology a benefit to your life? how do you envision using technology in the future? As you watch Cosmos pt 3: When Knowledge Conquered Fear, make a rough draft info graphic by writing down any words, concepts, names, ideas, or images that strike you. After we discuss and digest main concepts in the video, make an artistic info graphic that expresses what you learned. Info graphics will be due Friday. 1. Open these two google docs I shared with you called "Persuasive Essay Topics" and "Persuasive Essay Resources and Research Guide". Save the "Resource and Research Guide" as a copy and put your name in the title. 2. Using the resource links, research a couple of the topics you are interested in. If you are not sure on a topic yet, peruse the Upfront magazines, procon.org, The N.Y. Times Learning Network article archive, and the Article of the Week archive. 3. As you read websites and articles be sure to copy or paraphrase in your research guide any important facts or quotes you come across. Write the website/magazine/newspaper name, headline, author, and date if available. Be sure to put the evidence into either the "pro" or "con" section. Also identify the experts in the articles, so you can refer to them later in your essay. Complete your product comparison review rough draft and give it the title "Your Name: Title: Rough Draft." This needs to be complete by Tuesday morning so we can start revising in the lab. If you don't have computer access at home please work at homework club. Make sure you are explaining, comparing, and using specific examples from your criteria table. Use at least five coordinating/subordinating conjunctions and bold them. Looking at the Read ReAD and RoC revision chart for ideas, read your review once more and look for ways to improve. Now read and proofread your own at least 3 other student's reviews. Don't correct mistakes for them, but you can underline spelling, capitalization, or punctuation errors. When necessary, add ReAD and RoC comments. Read those comments and revise! Copy two rubrics to the end of your review and use one to assess yourself, leave the other one for me. Go back and make any more improvements. Once you feel your final draft is complete. Change your title to "You Name: Title: Final Draft" and change your sharing settings with me so I can edit. Final Drafts are Due Friday. Once your scripts are made, start adding high resolution images to your photo story. Now you can add your narration. If your computer's audio is not working ask me to use a laptop. Add some background music and/or audio effects. You can download free sound effects at http://www.freesfx.co.uk/. Read The Atlantic's list of the 50 greatest inventions. Choose three to research further. Take the N.Y. Times Weekly News Quiz and test your knowledge of current events. After you have finished your digital drama worksheet and turned it in to the "Reality of Digital Drama" folder. Make a word cloud of your ideas. 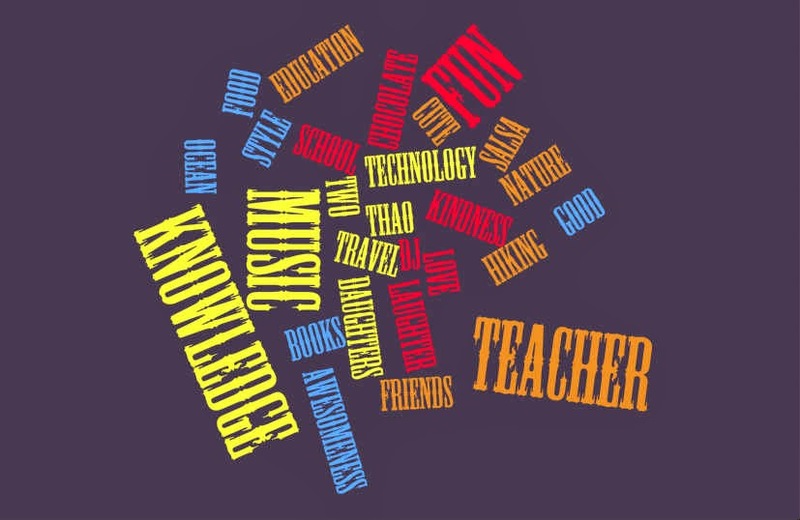 Remember the more times you use a word the larger it will appear in your word cloud. Save your word cloud as a jpg and post it to your blog. Make a second, more in depth word cloud about yourself. Use unique words to describe who you are. Save as a jpg and post to your blog too. How does your quality and type of questions in your survey compare to others? What makes a good survey question? What were the trends in your survey? What results were predictable and why? What results surprised you and why? What did you learn about our class from your survey? Any challenges from this assignment? What did you like/dislike about it? Why are surveys such a large part of business, politics, etc? Please post your final draft on your blog and include a link to your results. Open up this document in your drive. Save as a copy and rename using you and your partner's name in front of "Cyber-Bullying." Share this document with your partner, making sure they can edit. Read and answer the questions together. Save it to the "Cyber-bullying" folder. You may need to move that folder into your drive first. With your partner or by yourself make a video that expresses a cyber bullying scenario. Characters should include the "bully," "victim," "bystanders," and "upstanders." Make sure you have named your document: "Your Name: The Misfits Final Four Responses. Click on "Share" in the upper right hand corner. Change sharing settings to "Anyone with Link" and then make sure you select "can comment" in the drop down menu. Drag your document into folder, "The Misfits: Final Four Responses." Click "Shared with Me" if you don't see it in your drive. Click in the folder, and read and make comments to the student's response directly to your right. Read and add comments one response at a time. Read the response all the way through without adding comments. Read the response a second time by adding editing & revision notation comments. To add a comment, click on the word where you want to add a comment, then either right click and select "add comment" or hold down "ctl/alt/m." Once you add a comment be sure to click "comment" or it won't show up. Use the Revision and Editing Checklist as your guide. If you feel a standard is missing or needs improving, write the first letter of the standard in your comment. Add a comments where you think editing errors have been made. Use the categories provided in the checklist. Write a few specific positive comments at the end. Move on to the next response. When your are done, follow the same procedure with the student's response on your left. 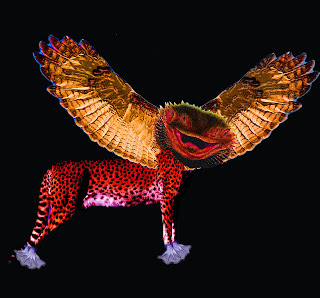 Photoshop animal monsters are due Thursday! 1. Write at least two entries for Encyclopedia Entry #4. Please write thoughtful and detailed entries. At a minimum, these should be a paragraph. Make sure your headings are bold and a slightly larger font size. 2. Post your "In the Garden," scary preposition story. Be sure to underline, italicize, bold, or change the font color all the prepositional phrases. 3. (Optional) Revise and post your free response about cliques & groups. 5. Read the person;s blog to your left and right. Write a positive comment to them for at least one blog post. Did they disable the security question? If not please tell them. 1. Cornelius Drebbel had a wager with King James I in 1620. What was it? 2. What does adding salt do to ice? 3. What did Robert Boyle discover about cold? 4. When were the first accurately calibrated thermometers made, and where? 5. Explain how liquid thermometers work. 6. What was the biggest problem with these first thermometers? 7. Describe Fahrenheit’s temperature scale. 8. What made him so famous? 9. How did the Celsius scale originate? 10. What is absolute Zero? 11. Compare the different theories of heat between Lavoisier and Rumford. Draw a frowny face next to the not so hot theory, put a smiley face next to correct theory. 12. What did Faraday discover through his experiment with chlorine? 13. What property of ice made it possible for Tudor the make millions shipping ice around the world? 14. Carnot found out that more work could be done by an engine if…..
15. What did Joule prove? 16. What is does the unit of Joule a measurement of? 17. What is the First Law of Thermodynamics? 18. What is the Second Law of Thermodynamics? 19. Draw a diagram explaining how refrigeration systems make ice. 20. In what ways is refrigeration one of the greatest human innovations? 1. 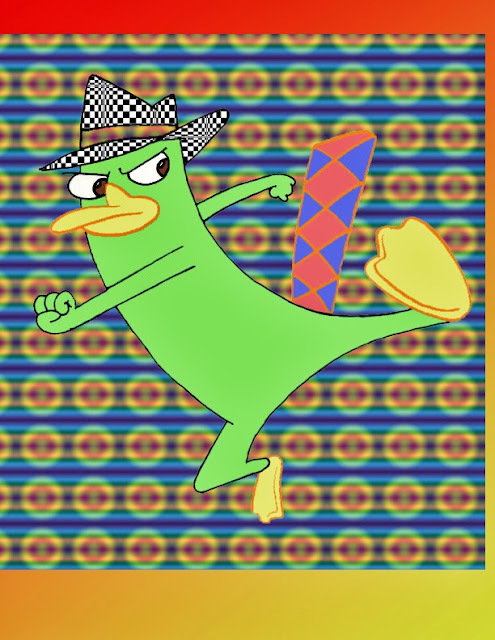 Finish your painted "Perry the Platypus" and post it to your blog by inserting it as an image. You will need to save it as a .jpg file first. Title your blog post Photoshop lesson #1"
2. Use the magnetic lasso tool to cut out Perry and paste him to a background of your choice. Use filters and other tweak tools such as smudge and blur to create an interesting scene. 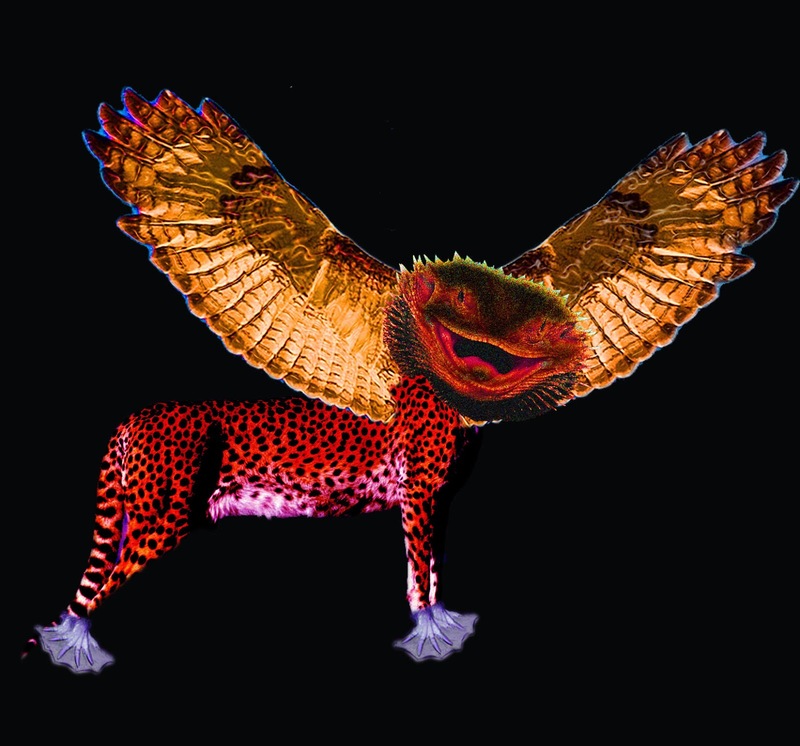 You may cut other images out too make your scene more interesting. These will be due next Thursday, Oct 3. 1. Finish any assignments from last week first. 2. Post your "How to Fool a King" response. Compare the weights of an astronaut on earth, the moon, and the space station. What is the equation form of gravity? How fast does gravity fall? Why are all objects weightless on the space station? How fast is the space station moving? How is arm-wrestling and Sumo wrestling affected my microgravity? Every year new parents and students ask me the same question, "Why do students have blogs?" So I thought I would answer this question in, what else but, a blog post. Vack's Top 10 Reasons for Student Blogging. 10. A blog is basically an online writing portfolio where final drafts can be "published." 9. Because these are final drafts, writings should be free of mechanical and syntax errors. (don't forget to capitalize your "i"s and remedy those red underlines for mispelled words. 6. Students, teachers, and family members can post supportive and positive comments to writings, making student authors feel all warm and fuzzy. 5. Blog designs and layout can be customized to a student's personality, as long as it's readable. (lime green font on white is not the best choice) You can also add images and video! 3. Many high school English teachers require their students to keep a blog, so . . . there you go. 2. Blogging inspires, even the most reluctant writers, to write their best because their ideas will be read members of there classroom community. 1. "Blog" is just a fun word to say. Keep on bloggin'! 1. Post your "Poem for Two Voices." Make sure it has a unique title and at least 10 lines. Give credit to your co-author. 2. Type up your IRJ #1, making sure you follow the guidelines of the handout . Print out and turn in with a self evaluation stapled to it. 3. Write at least two more Encyclopedia of Ordinary Life entries. This can be titled. "Encyclopedia of Ordinary Life Entries #3. Please write a well developed, creative and thoughtful entry. A couple of sentences just "won't cut the mustard!" 1. Post your "Personal Space" response. Make sure you give it a title other than "personal space response"
2. Post your next two encyclopedia entries, you can write as many as you want. Title this "Encyclopedia Entries 2"
3. Post your nature name response. 4. Write a free response about Morning Girl. How what did you think about it? What connections did you make with the book? What questions does it bring up for you? Send me your school email address and blog address by answering this google form. 2. Start pre-writing your personal map story in on a piece of paper or g-docs. Please follow this link and give me your gmail address. 1. Make sure you have completed all of last week's assignments. Have you posted your "I Have Seen" poem with lots of detailed imagery that makes your "abstract" noun become "concrete?" Have you posted three poetry responses with links to the poems? 3. Post your "Braggin' Rap" verses. 4. Read at least four student's "I Have Seen" poems. Choose two students sitting directly to right of you and two students sitting directly to the left of you. Can you guess the abstract noun? Write a poetry response for at least two of them. You can write the responses in the same post. Be sure to include a link to their poems. 5. Keep reading other student's blogs and commenting. 6. Try the magnetic poetry too! 7. If all is done, try out this simple online beat maker. 1. Post your "I Have Seen" abstract noun poem. Make sure you include lots of detailed imagery to help make your "abstract" noun more "concrete." 2. Post your three (or more) haikus. 3. Complete poetry response #3. 4. Read at least six student's blog posts and write positive comments. 6. Write some poems using Magnetic Poetry. Make sure they are school appropriate (do I even need to say this? for some of you, yes!) You can print your poems for you portfolio and post them to your blog. 1. Thinking about ways you can add elements of poetry, revise your list and vs. poem. Is there rhythm, repetition, do the comparisons make sense, is there a strong ending, and logical flow of ideas? 3. Start on this week's poetry response. 4. Read other student's poems and poetry responses and leave positive comments. 1. Type up your list poem , publish it to your blog, and print out a copy for your portfolio. Make sure it has a title other than "list poem." 2. Browse and read poems on the sites poetry.org and poetry archive. Find two that speak to you. 3. Copy and paste each of them in a google doc, making sure you keep the original formatting, title, author's name, and date if available. 4. Print each poem out and crazy notate. 5. Using the Elements of Poetry and How to Read a Poem handouts, write a (at least 1/2 page) response per poem. Be sure to discuss the theme of the poem, and use examples from the poem to illustrate use of poetic devices such as alliteration, repetition, metaphor, etc. Of course include the author's name and poem's title in your first sentence. 6. Post your responses to your blog along with a link to the poems. Finally, print out your two response, hole punch, and put them in your portfolio along with your notated poems. 7. When you're done, read other student's posts and write comments. Brainstorm ideas from the categories we discussed in class. "Pitch" your best idea to the class in under a minute. Answer questions and revise your idea. Form teams based on similar ideas. Turn this in, so I can approve it and help make and revisions. Get to it! This project will be due next Thursday, March 21. If you really want to make a 3D model of your product check out tinkercad. Somebody say extra credit? Don't forget to post your ode. Ender's Game Assessment: "Revisiting the Anticipation Guide"
After you have finished reading Ender's Game, go back and re-read your anticipation guide response and reflect on how your opinions have changed or stayed the same in regards the themes in the book. As you write your new response, be sure to use examples from the book that support ideas about the themes. You will have two weeks to complete this, so please use lots of supporting detail and thoughtful commentary! After re-reading the article, 'Ender's Game' Author's Anti-Gay Views Pose Risks for Film write a one page blog response that includes the questions and arguments we discussed in class such as: How does Card's views on gay marriage affect your opinion of his book? Should Mr. Vack remove this book from his class's reading curriculum? What do you think about the movie company trying to keep Card "out of the limelight?" Do you think this movie should be boycotted? 1. How did Ender provoke Bonzo? How did Bonzo respond? 2. Who was Stilson? Why was Ender thinking of him? 3. Why does Ender still expect help from the teachers? 4. Did you know Stilson and Bonzo were dead? Find the specific clues in this chapter about the deaths. 5. Was Ender justified? Why did they not tell him of the deaths? 1. “Perhaps it is impossible to wear an identity without becoming what you pretend to be.” Explain what this quote means. State an example of this idea. 3. Discuss the conversation between Ender and Valentine on the raft. What does Ender reveal about himself and his enemies? 4. Discuss Valentine’s conflicting thoughts about her brothers. How have Peter and Ender’s roles shifted? How does Valentine feel about each? 5. Discuss Graff’s statements about why the war with the Buggers was inevitable. 1. What disturbs Ender about Eros? How does Ender figure out the truth about Eros? 2. Describe how Mazer is going to be the only teacher Ender has ever had? 4. Have they pushed the children too far? Was it worth it? annihilated, xenocide, ever justified? Was the xenocide of the Buggers inevitable? Why? 1. Valentine said, “Nobody controls his own life, Ender. The best you can do is choose to fill the roles given to you by good people, by people who love you.” After what has happened in Ender’s life, what would he think of this statement? 2. Ender listens to the evidence about the deaths of Stilson and Bonzo. What is Ender’s opinion about the deaths? 3. Why did Valentine make sure that Ender could never return to earth? 4. What is ironic about Valentine’s statement about Peter saving millions of lives? 5. What knowledge did Ender gain the enabled him to write The Hive-Queen? Give specific details. 6. Why does Ender publish the book using the pseudonym “Speaker for the Dead” and not his own name? Use grammar blast to quiz yourself and practice for the verbals and phrases test on Thursday. Go to the 8th section and click on "phrases." Post a one page response about drones. You can make connections to Ender's Game, write about the pros and cons, make up a fictional story, or write a poem. For more info watch this video. This is a Flickr badge showing public photos and videos from Rm. 12. Make your own badge here. 1. This site is for current students and family members only. 2. Please write responses in complete sentences, check your spelling and punctuation, and avoid "text" type. 3. Inappropriate language will not be tolerated. 4. Put downs, personal attacks, and non constructive criticism are also uncool. 5. I reserve the right (and have the power) to delete any responses deemed inappropriate. I also have the power to delete any user permanently!